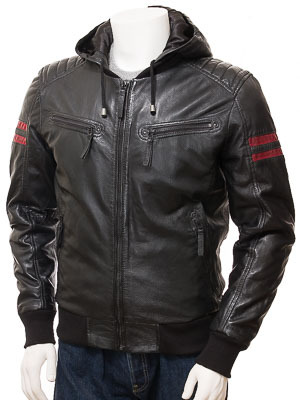 A fantastic black leather bomber jacket with integrated hood. 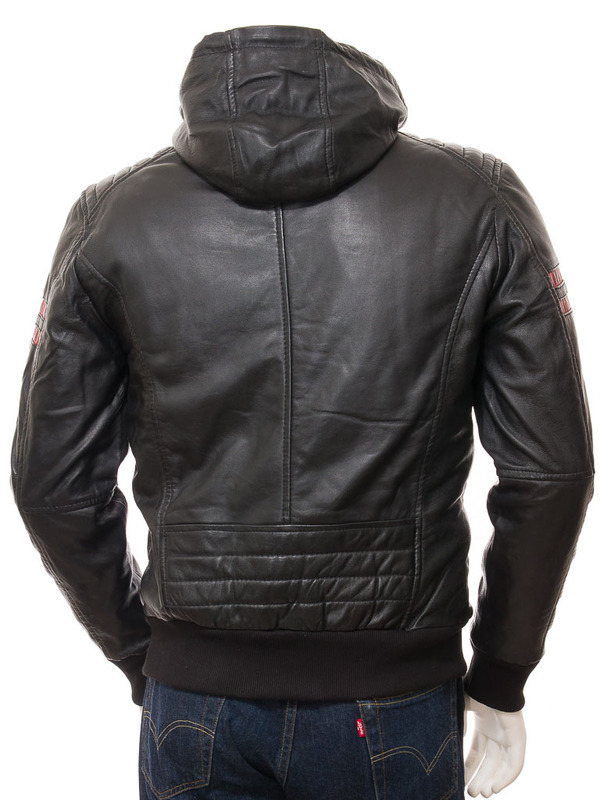 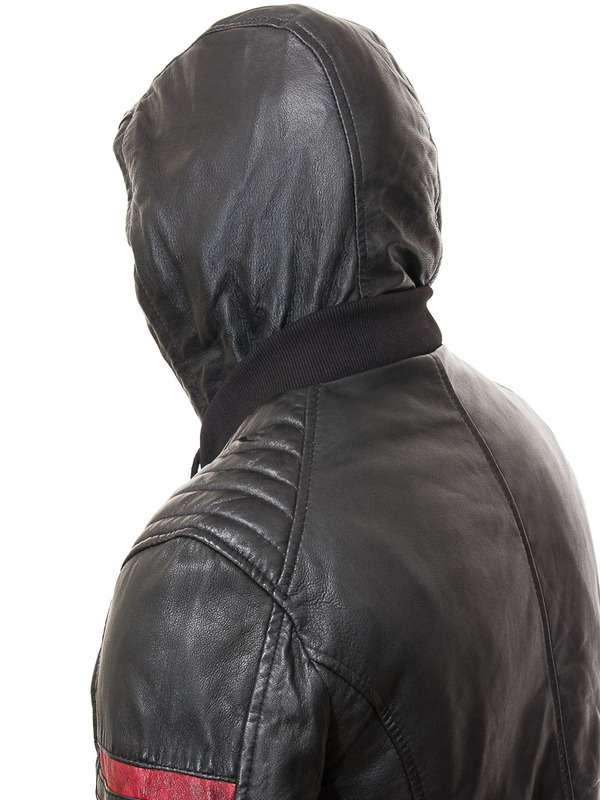 Crafted from sheep nappa leather this jacket features a centre zip up to a rib knit collar and lined leather hood. 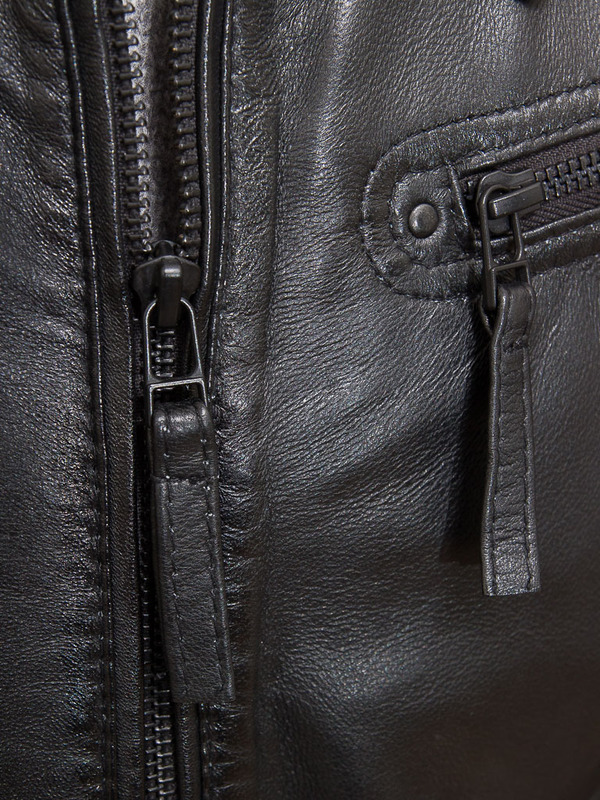 There are two angled zip pockets on the chest and a further two at the waist. 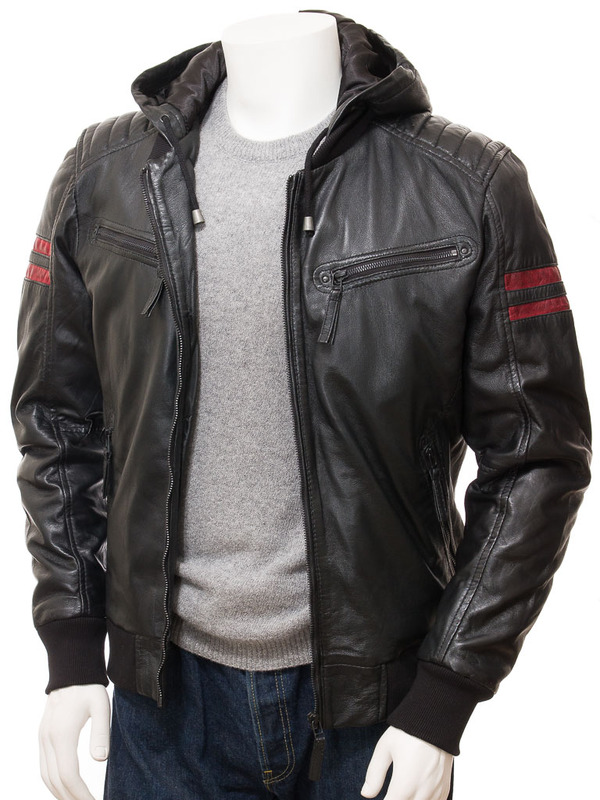 Rib knit at the cuffs and hem keep the warmth in while rib panels on the shoulders plus red bands on the sleeves add a sporty feel. 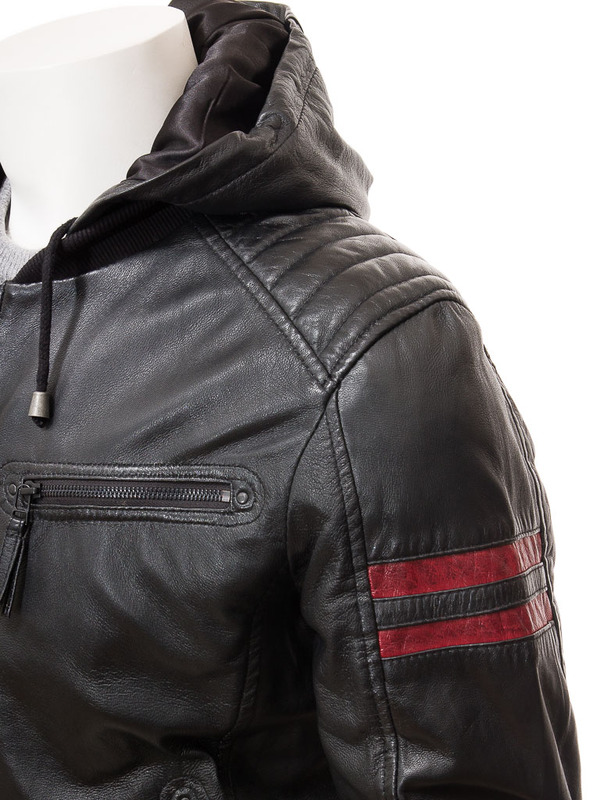 The interior of the jacket is fully lined in satin and includes two more leather trimmed pockets, one of which is zipped for additional security.